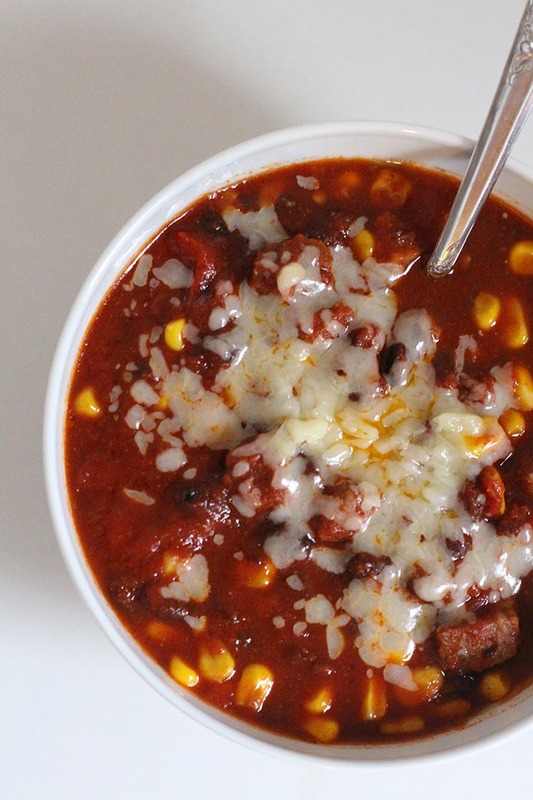 Here’s a simple recipe for crockpot chili made with steak that your whole family will love. It’s a hearty and delicious meal with the perfect combination of spices. 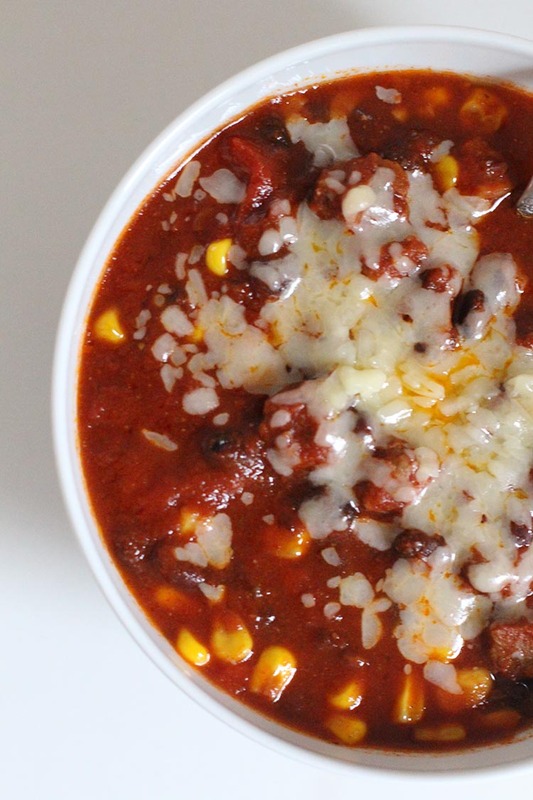 The steak meat will melt in your mouth and make you think twice about ever making chili with ground meat again. Last time we went to visit my in-laws, my mother-in-law made a big pot of chili with leftover sirloin steaks. I had never made chili with steak before, so I wasn’t sure how it would turn out, but it was amazing. As soon as we got back to Pittsburgh I knew I had to make my own version in the crockpot. 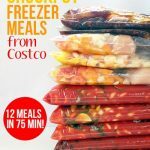 I decided to modify the Crockpot Turkey and Bean Chili recipe in my No Cook Freezer Meals cookbook to include steak instead of ground turkey. Oh my, was it delicious! And, it couldn’t be easier to make. 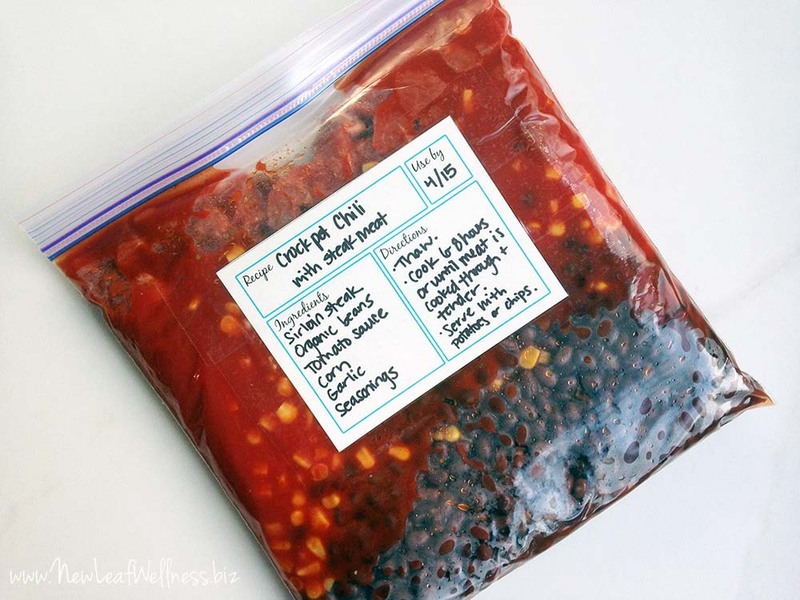 Simply combine the ingredients in your crockpot or dump them into a gallon-sized bag and freeze for later. I love having homemade freezer meals on-hand for busy weeknights. 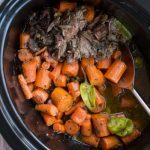 Combine all ingredients in crockpot and cook for 8 hours on “low” setting, or until steak is cooked through and tender. 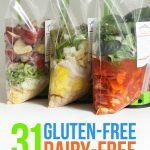 Add all ingredients to a gallon-sized plastic freezer bag. 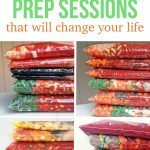 Remove as much air as possible, seal, and freeze flat in your freezer for up to three months. When ready to cook, thaw and add to crockpot. Cook for 8 hours on “low” setting, or until steak is cooked through and tender. Serve with potatoes or chips and cheese. YUM. Hi! Do you think I could make this recipe without the beans? I hate beans, but the rest of the ingredients sounds so good! Ana Maria, I don’t see why not. You might want to use a smaller can of tomato sauce. If you try it, let me know how it turns out. 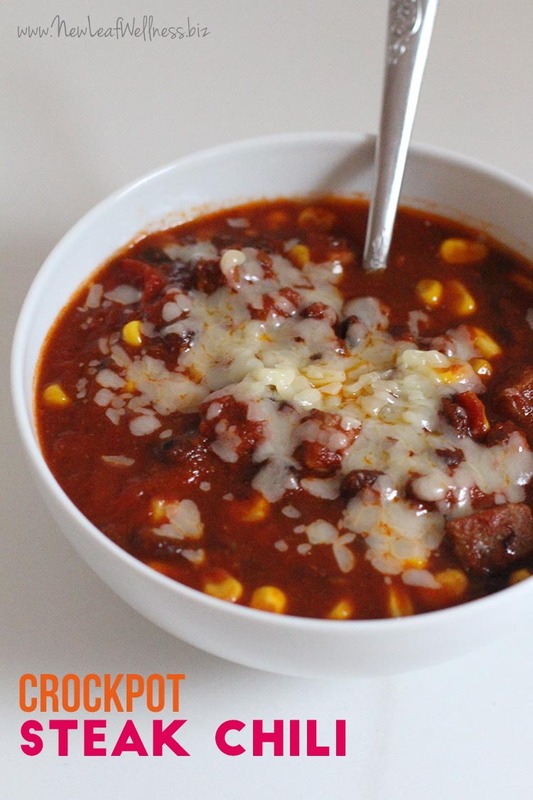 Great Chili, I followed the ingredients to a tee, but after 4-5 hours it tasted a little on the bland side so I added another couple tbsp of chili powder and the flavor came alive. Very easy to make and it’s a ton better with steak. Thanks. I thought this was excellent, even after being forgotten in the freezer for a few months! Just the right amount of spice — not too bland but not at all spicy for those who like things milder. I used cheaper round steak and the meat was very tender. Thanks for the recipe!